A golf club owner caught a couple of wet suit-clad thieves attempting to steal 800 balls from the bottom of a lake on her course. The crooks had travelled over 70 miles from Yorkshire to carry out a night-time raid at the Manor Golf Club, in Kingstone, Staffordshire, only to be caught red-handed. 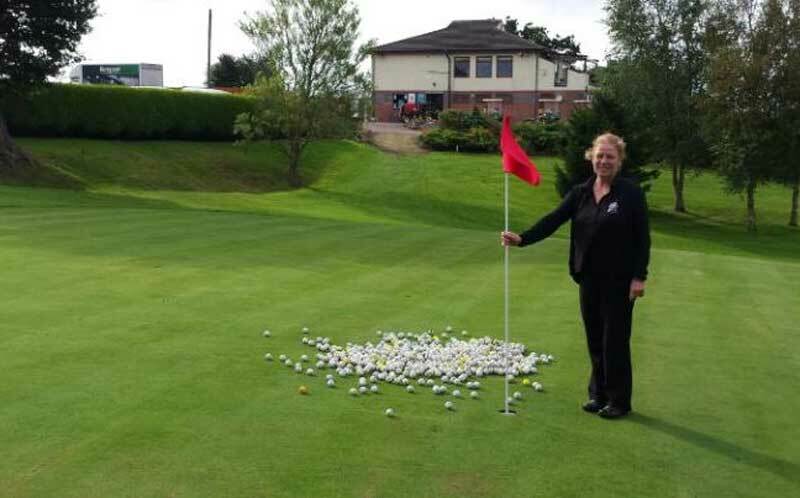 Sarah Bathew, called the police when she woke up to see a 'suspicious vehicle' in the club car park way after tee time. Officers from Staffordshire Police then recovering the balls from the back of their car. Now the club is set to auction all the balls for two worthy causes. Ms Bathew said: "I was in bed, asleep and, completely by chance, I happened to wake up to see this car. I went and had a look outside and couldn't see anyone in the car. I checked the building and no-one was in there either. "The police told me to go back to bed and they turned up with their search dogs and I went to sleep. The next morning they told me they'd found two lads from Barnsley wearing wet suits and flippers. When the policeman told me what had happened, it was a case of being in utter shock. It's almost unbelievable the lengths some people will go to for a round of golf, but you have to find it funny, really. "The lake comes up to about neck height and the fact they've come with wet suits is just hilarious. They've given us all the balls back and now we'd like to do something positive with them and auction them off for the captain's charities." A Staffordshire Police spokesman said: "We got a call at about 10.15pm to report a vehicle on the property. We attended and had a look in the vehicle to find a large quantity of golf balls, which were returned to the owner. No further action has been taken as, fundamentally, the balls were returned."